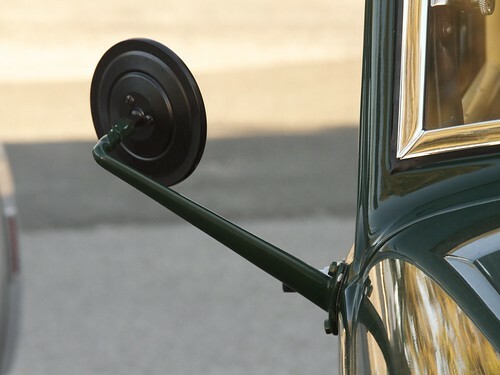 Passenger side mirrors on cars and trucks used to be a luxury, add-on, or aftermarket item— if they were even available at all. My dad’s truck never had one. 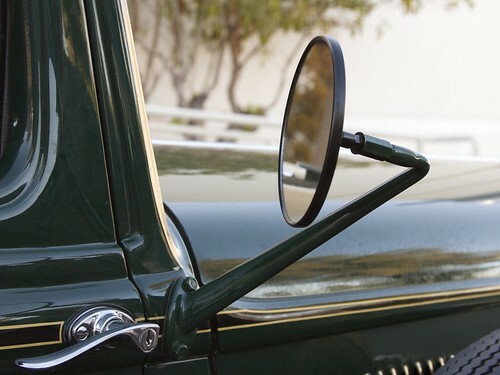 In the intervening years, many states have made side mirrors a requirement, and having them makes safely driving a vintage vehicle much easier. So how did he get the matching one you see in the picture above? He did what pretty much anyone can do these days: he had the driver side one 3D scanned, had a CAD model made up from the scan and then mirrored it. The model was then 3D printed and sand cast in aluminum. After some finishing work and paint, it looks fantastic. However, geometry reared its head: it turns out that because the driver sits on one side of the car, a perfectly mirrored mirror mount doesn’t put the mirror in quite the right place. As a temporary fix, he added a standoff to correct the position of the mirror. After returning from the road trip, he’ll adjust the CAD model and have a new one printed and cast. 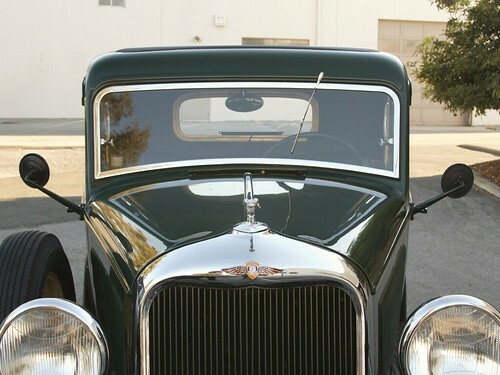 Since the world of vintage cars is a close-knit one, he has already had requests for additional units from friends in the community, and making more will be straightforward from the digital master. He’s had a few other components made using scanning and digital manufacturing techniques, including a laser cut insulation board for between the engine compartment and the cab. These techniques are a perfect fit for a community with low-volume needs for custom, unavailable, or never before made parts. This entry was posted in Engineering, Vintage Technology. Bookmark the Permalink. And the old fashion way I would have done it years ago would be to carve a pattern out of a soft wood like pine and sand cast a duplicate. The big problem I have today is finding a place where I can melt that much metal. The last place I had was the school shops. What scanner was used? I am in the market and am not happy with the Makerbot Duplicator. I don’t know, but I’ll see if I can find out. Technology is working wonders in the old-car world. It’s impossible to find a water-pump impeller to fit a ’33 Essex Terraplane, so my brother CAD’ed it up and had it CNC machined. Another classic headed back to the road! So Terraplanes can continue to roam the earth! Great!